One funny thing, I never ate socca when living in France. I went to Provence several times, but never to Nice specifically (the kingdom of socca). How did I discover socca? In little India, here in Toronto. Funny! We were in an Indian restaurant, enjoying our vegetarian meal. As we try not to eat too much meat, we were looking for inspiration – some ideas for “meatless meals”, and we started to look at the different ingredients used in vegetarian Indian recipes. Chickpea flour was one main ingredient of the food we were eating, and I started to look on internet what we could do with this flour… and this is how we have discovered that chickpea flour is used since a long time and with a lot of success in French cuisine. 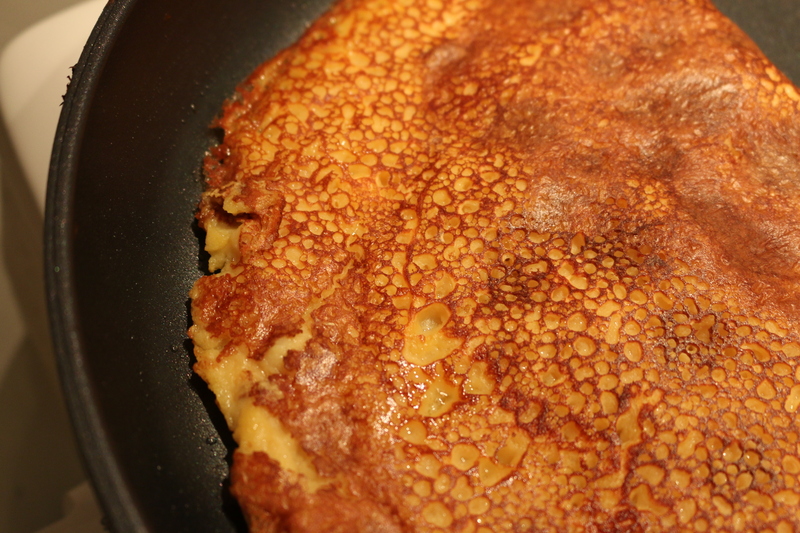 Socca and Cade are Provençal pancakes that go back at least to 1860. 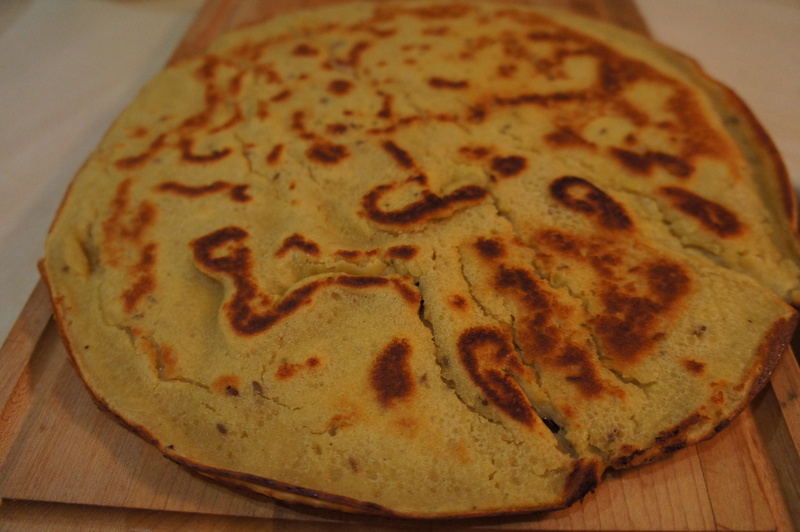 Cade de Toulon, probably the most ancient, was made from corn flour and the Socca de Nice that evolved from it is made from chick-pea flour. In that ancient time, there were cade/socca sellers at the marchés and at work sites where they provided the favorite morning meal of the workers. The cade/socca sellers used special wagons with built-in charcoal ovens to keep their wares hot while they announced them with the appropriate cries of “cada, cada, cada” or “socca, socca, socca caouda”. Some of the ambulatory socca/cade sellers (or their descendents) are still to be found in the markets at Nice, Toulon and la Seyne-sur-Mer, where the slices are served in paper cones. In Nice, the Cave Ricord restaurant has been selling socca continuously for the past 80 years. 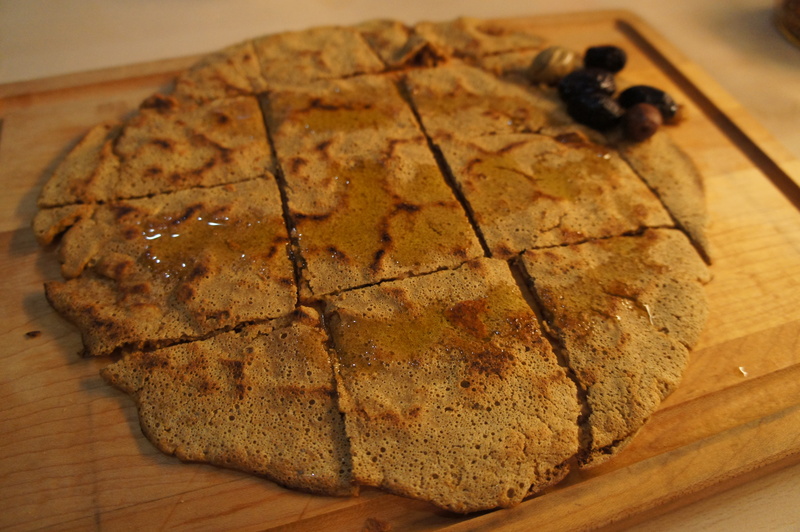 Socca is a simple but easy to love traditional Provence street food made of chickpeas flour. Yesteryear, it was cooked using a large round (50-70 cm diameter) copper “pie tin” (plaque) in a very hot wood-fired oven for about six minutes, until the top is golden. The copper is important for spreading the heat evenly. 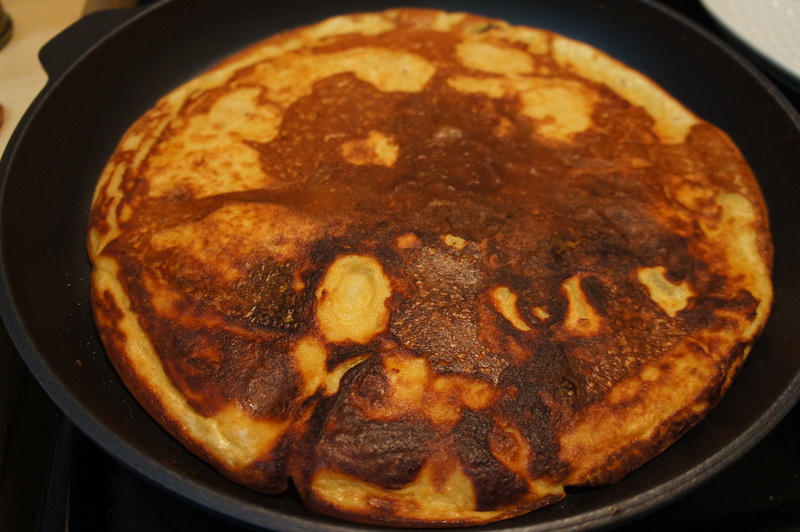 Nowadays, you can cook socca in the oven or on the stove in a cast iron skillet. Personally, I like to use a good quality non stick skillet or a non stick cookie sheet because socca can badly stick to your pan. I have experienced this misadventure several times in the past before I decided to switch for a non stick skillet. You can make your socca really fine and crispy, or a little more thick – still crispy outside but creamy inside. Yummy! Chick peas (like chick pea flour) is gluten free and really nutritious: 22 grams protein and 11 grams fiber per 100 grams as well as a low glycemic index that help to control hunger cravings (satiety). It can also help lower LDL (bad) cholesterol levels, and it is a good source of minerals (like magnesium (41% daily value) and phosphorus (32%) – essential to healthy bones, potassium (24%) – help keep fluids and minerals in balance in the body and regulates blood pressure, and also iron (24%), zinc (19%), copper (46%), and manganese (80%) per 100 grams) as well as vitamins (thiamin (32%) and vitamin B6 (25%) – two of the B vitamins that help you convert food into energy, folate (104%) – essential to red blood cell development and the prevention of certain birth defects and vitamin K (11%) per 100 grams). Unfortunately, chickpeas, like all nuts and seeds, grains and pulses, contain food phytate that can bind minerals, and prevent their full absorption. Furthermore, chickpeas, like other pulses, can be difficult to digest. However, the minerals in chickpeas like the minerals in other pulses, grains and nuts, are better absorbed when the chickpeas are prepared properly through sprouting, soaking or souring. These traditional processes render the minerals found in these different foods more bioavailable, and can also render the bean easier to digest. For this specific recipe, I am using the souring technique – i.e. soaking the chickpea flour overnight (or for 24 hours) in an acidic environment (lemon juice or beer + lemon juice). It also gives the final flatbread a wonderful, faint, tartness that complements the naturally earthy, nutty flavor of the chickpeas. Adapted from Nourished Kitchen recipe. I will recommend to use a light beer for this recipe like the American Pale Ale from Black Oak. I find its buttered bread, english muffin kind of malt taste works perfectly with the naturally earthy, nutty flavor of the chickpeas. The hops flavors are also present with a soft aftertaste bitterness. Dump the chickpea flour into a medium-sized mixing bowl. Stir in the lemon juice and water (or beer + water + lemon juice). Cover the bowl, and allow it to rest at room temperature at least 12 and up to 24 hours. Whisk in olive oil and salt, until it forms a thin, smooth batter. 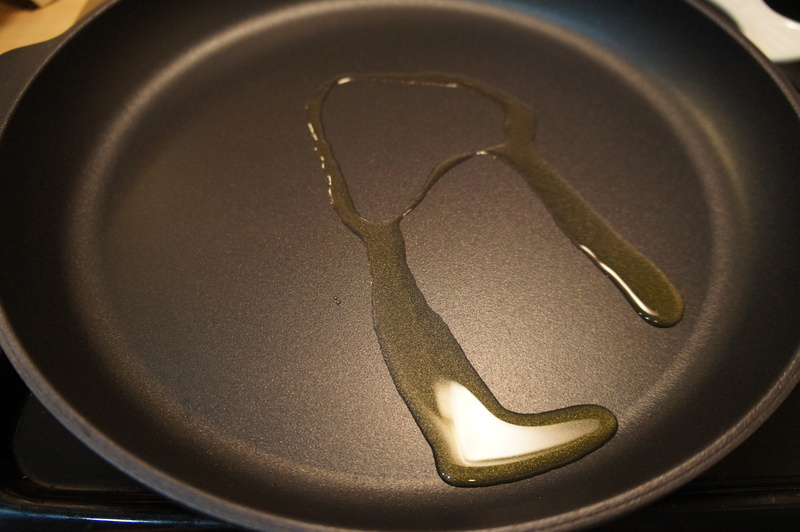 Film a non stick pan with oil and set over medium-high heat. Pour in the socca batter. Decrease temperature to medium heat. After about 8 to 10 minutes (shorter time if you are using a smaller pan) when the edges are firm, gently lift the pancake and flip it. Cook on the other side for another 2 to 3 minutes, until both surfaces are dry and beginning to brown. 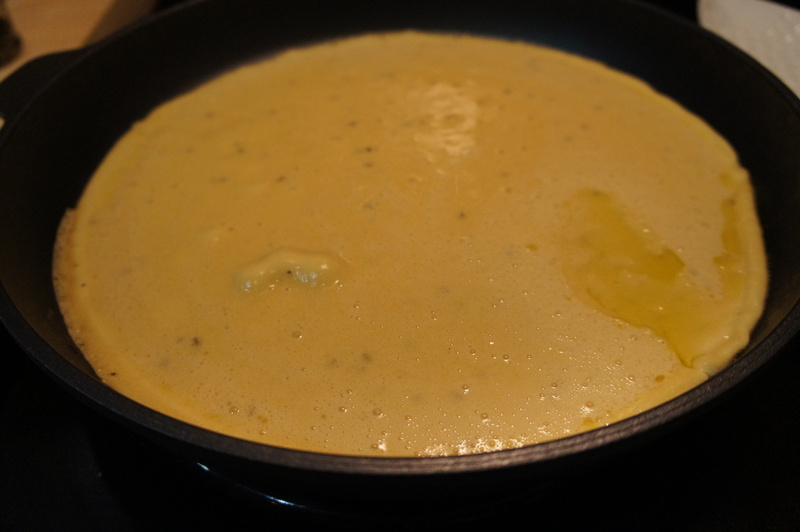 Gently remove the socca from the pan, continue with the remaining half of the batter if you are using a smaller pan. 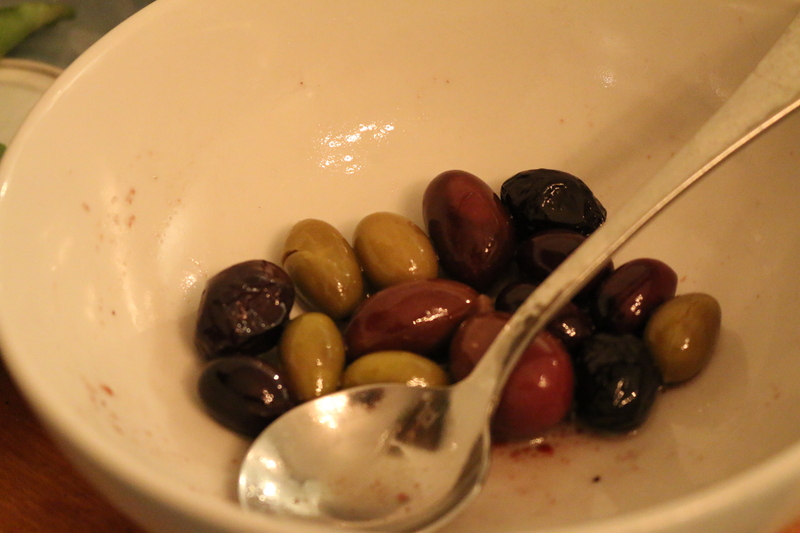 Cut into squares, sprinkle with salt and pepper, and drizzle with a little good olive oil. 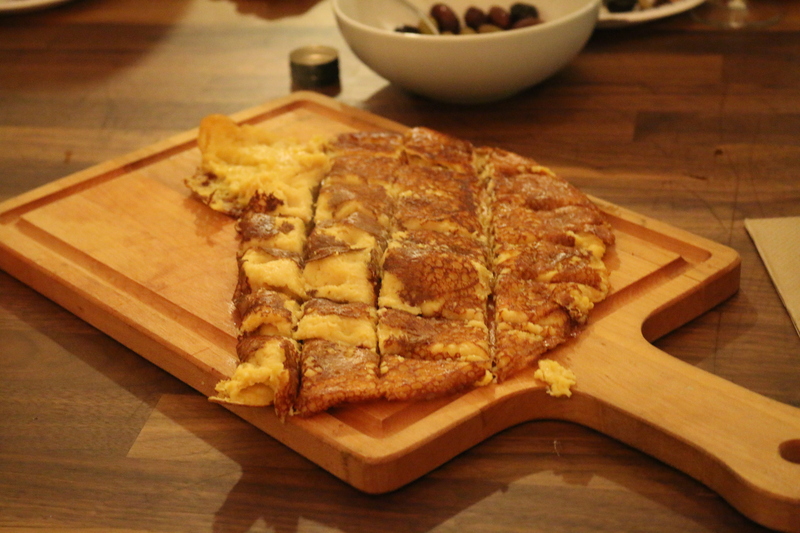 Socca is best if eaten immediately after baking while still warm, but can be refrigerated (keep it in aluminium foil) and re-toasted for up to a week. Socca is delicious sprinkled with salt and pepper and served with some olive oil, cured olives, cherry tomatoes, Mediterranean cheese… You can also be inspired and creative – use or serve socca with whatever you happen to like (some great ideas here).